I am so excited to have a guest post and recipe from my dear friend Heather, a fellow Alabama blogger who inspires me every day & shares about healthy living, fashion & delicious recipes over at My Life Well Loved. Preheat oven to 375 degrees. Mix meatloaf ingredients in a large bowl. Form into a loaf and place on an aluminum foil lined pan. Bake for 45 minutes. Combine ketchup and brown sugar for topping and spread over the top. Bake for 15 more minutes or until meatloaf is cooked through. Let it rest 10 minutes before slicing and ENJOY! 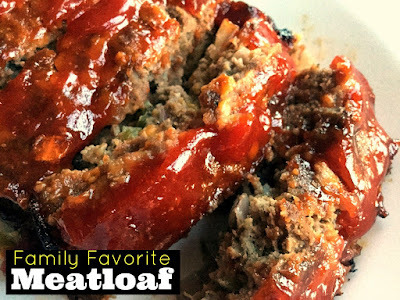 0 Response to "Family Favorite Meatloaf"